You may have stumbled upon a viral video of a certain 5ft 9in robot tripping in the snow, lifting boxes and getting bullied with a hockey stick. While it is a delight to watch and can be interesting to share, it’s the actual technology that makes the video so impressive. The latest version of Atlas, the 2016 Boston Dynamics invention, is programmed for indoor and outdoor mobile manipulation. It’s already stealing the spotlight from Honda’s Asimo and giving reason for many to fear the rise of the infamous Skynet. 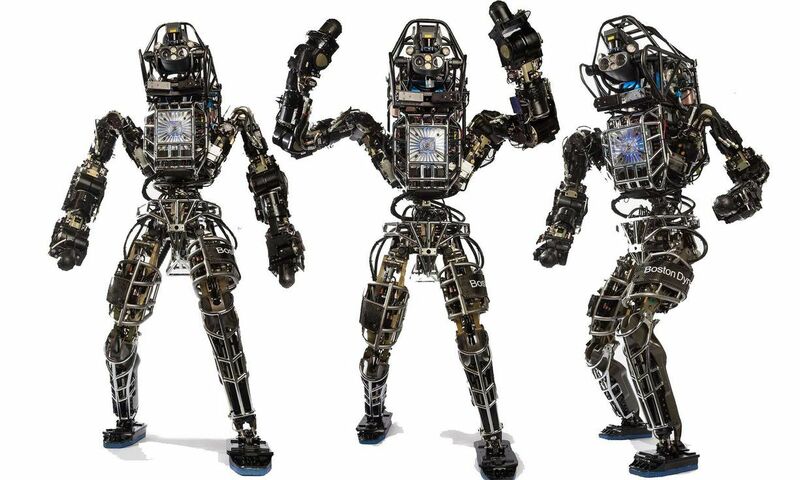 In 2013 Boston Dynamics unveiled the first version of Atlas, designed for search and rescue missions. Weighing over 330 pounds and barely going anywhere without a plug, Atlas is now down to 180 pounds and reinforced with the latest materials technology. Atlas doesn’t need direct input to carry out tasks. If you wish for it to go from the hanger to the door, the specific motion doesn’t have to be spelled out one limb at a time. Object recognition allows it to tell the difference between obstacles, doors and walls. It uses LIDAR and stereo sensors to assess its surroundings. Atlas has proved itself able to conduct several tasks in environments deemed dangerous or tedious for humans: travelling through rough fields, working in hazardous industrial regions, locating and closing valves near leaking pipes, etc. 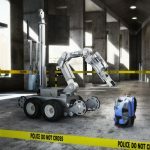 While many people have expressed their concerns about using Atlas for defence and warfare, the department of defence released an official statement denying any such use of the robot. Boston Dynamics is also behind other creations such as LS3, known as AlphaDog, which was designed for military transport in different environments (up to 400 lbs of load and enough fuel for 24 hours of travel). There was also PETMAN, specifically designed to deliver realistic test conditions by emulating the human physiology. Founded in 1992 as a spin-off from MIT by Mark Raibert and his colleagues, Boston Dynamics has managed to recruit incredible scientists and engineers and use the latest analysis and engineering methods to build robots that make life easier for humans while being resilient to the environment. The most eye-catching features about Boston Dynamics robots are the impressive stability, agility and mobility they display. From proof of concept to prototype to build and test, the company meets requirements by setting concrete goals and using advanced computation and sensor technology. Relying on electricity and hydraulics as main motion generators, the advanced robots are environment friendly and can be plugged in and charged for full freedom of motion in the field. 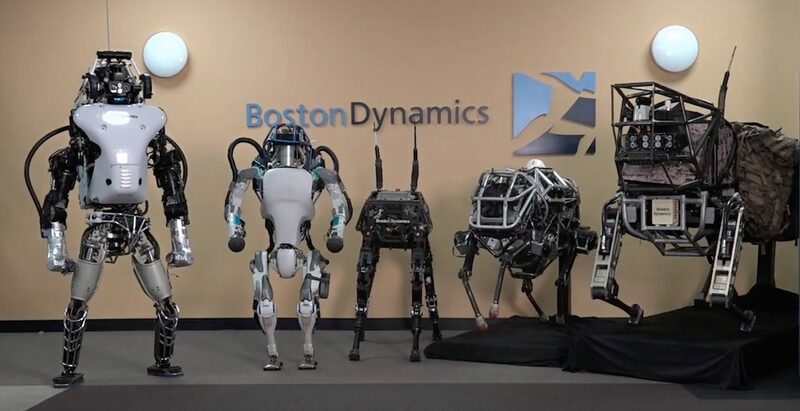 While some may wonder about the target market, Boston Dynamics already has prestigious names on its customer list including the US Defence Advanced Research Projects Agency (Darpa) and the US army, Navy and Marine Corps to name a few. 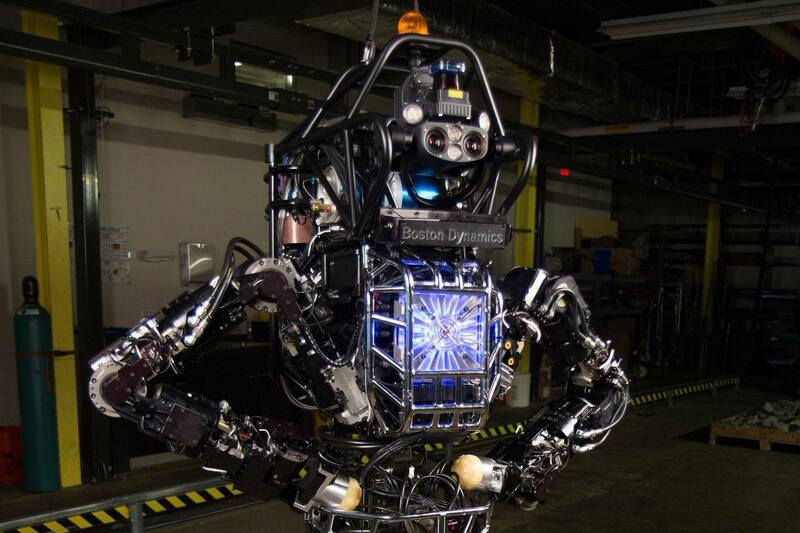 By the end of 2013, Google Inc. acquired Boston Dynamics for $500 million during a spree of robotics acquisitions. Since Google already owns DeepMind and quantum computer project D-Wave, the STEM community was alive with rumours that Google’s next move would be to concentrate its various capacities in order to advance Atlas and its fellow robots to the next stage: self-learning and independent choices. Thus, Atlas would come to form what science-fiction has been predicting for decades: robots capable of existing on their own and harnessing their own potential. 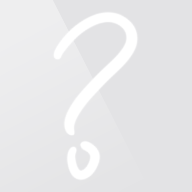 However, in March 2016 Google announced that it is putting Boston Dynamics up for sale. Potential buyers include Toyota and Amazon. 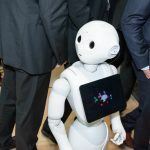 It is unclear how Atlas will evolve within other firms, but one thing is for sure: the public opinion is eying the uses of the invention in many different ways; some claim that robots will steal jobs while others are convinced they will be used for warefare. Many marvel at the amazing advances of humankind while others fear the possible existence of a future they only read about in novels. All in all, Atlas has been the source of many discussions and fundamental questions. But most of all, it has generated enough momentum to push other companies to improve their work and unleash even more possibilities from their R&D. Tesla Autopilot, dangerous or a life saver?